Self-driving cars are an epitome of technological advancements. They are anticipated to decrease accidents by a whopping 90%, resulting in safer roads for both: plying vehicles and pedestrians. To understand the effects of self-driving or driverless cars on Auto Insurance Industry, let’s first understand what a self-driving car is. As the name suggests, self-driving cars are able to travel from one place to another without the intervention of a human driver. Self-driving or autonomous cars are an epitome of how advanced human mind is. 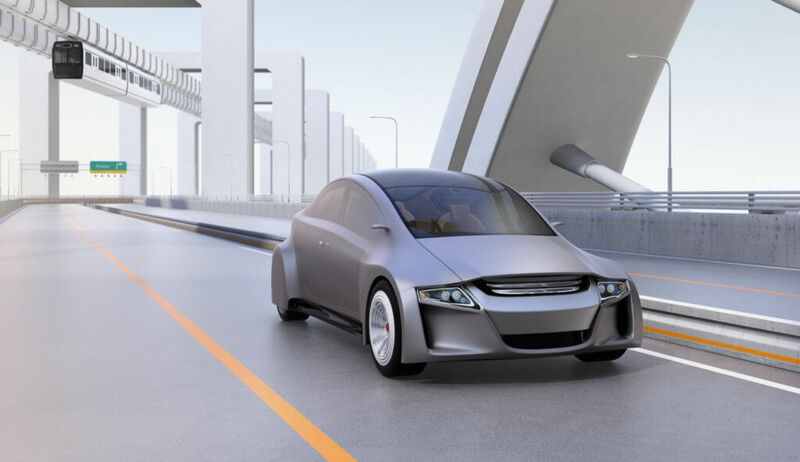 A-list automobile manufacturers like Audi, BMW and Ford have invested in ambitious projects involving autonomous cars. Self-driving cars use a combination of sensors and devices which gauge its position on a dynamic 3-D map, virtually created to ply upon. These highly advanced automobiles work on a conglomerate of features including Artificial Intelligence and Light Detection & Ranging (LIDAR). One of the crucial reasons of going to the length of creating a self-driving car is to make the roadways safer. Even though self-driving cars are at an early stage of achieving perfection, they have paved a way for lesser chances of fatal errors. People buy an insurance policy for their vehicles for the sole purpose of insulating themselves against risks. When a vehicle is damaged due to an accident, the sudden financial crunch is born by an auto insurance company to continue without monetary hiccups. With self-driving cars, humans are less susceptible to accidents which occur due to human error, in majority cases. This feeling of being exposed to financial risks is what draws vehicle owners to buy insurance. Once this feeling is diminished, buying an insurance policy won’t seem like a necessity. Decreasing demand for buying insurance will result in plummeting costs of policies. Insurers will try hard to conceive appealing products to stay in the game. Increased competition will also lead to cheaper products because of which auto insurers will take a hit. It is an open secret that advancements in technology have resulted in severe unemployment. A single computer has replaced hundreds of humans doing manual work. Machines have enhanced the efficiency of any workflow up to ten folds. Self-driving cars are no exception to this phenomenon. They will increase unemployment. People will no longer require chauffeurs to take them around. In the future, humans involved in an accident might be taken to the hospital by a self-driving ambulance. A towing car of similar type might take the damaged vehicle to the workshop. Damages might be assessed with the help of data from the damaged car itself. Drones might provide information about the extent of damage and cost of repair/replacement. Repairing the damage could be done on workstations similar to the ones currently used to manufacture a vehicle. Once the vehicle is ready to be delivered, it might drive itself to the owner! The insurance industry will no doubt be at a loss when self-driving cars begin ruling the roads. However, they will not completely obliterate the business of auto insurance. Self-driving cars will need insurance against numerous factors like natural calamities, man-made calamities, fire, self-ignition, and theft. Apart from comprehensive car insurance policies, add-on coverages will still apply to insurance for driverless cars. Add-ons like zero depreciation, loss of personal belongings, accessories cover, and consumables cover will still be in force. Self-driving cars are still at a nascent stage. This provides a large window to Auto Insurance Companies for building improved business models. The “big players” need to find ways to incorporate advanced technologies, like insurance for self-driving cars, in their product offerings. If not, emerging startups which are ready to experiment with the workflow and products, can easily put them out of the game. How to Get a Discount by Driving Safe?